A practising astrologer for more than 30 years, Christeen has been looking at planetary pictures since she was nine years old. She is fascinated by the correlation between particular planetary formations and events on earth. Measuring the apparent links between these pictures and financial markets pleases her immensely. She is deeply committed to the development of greater understanding of the potential of astrology and supportive of those researching links between the planets and trends in music, architecture and politics. Christeen is very passionate about confidentiality and prefers to work with only one client in any particular field of business. Clients love her wealth of experience and the relationships built over many years. She is a well respected key player on the astrology speaking circuit with focus on financial and business matters. 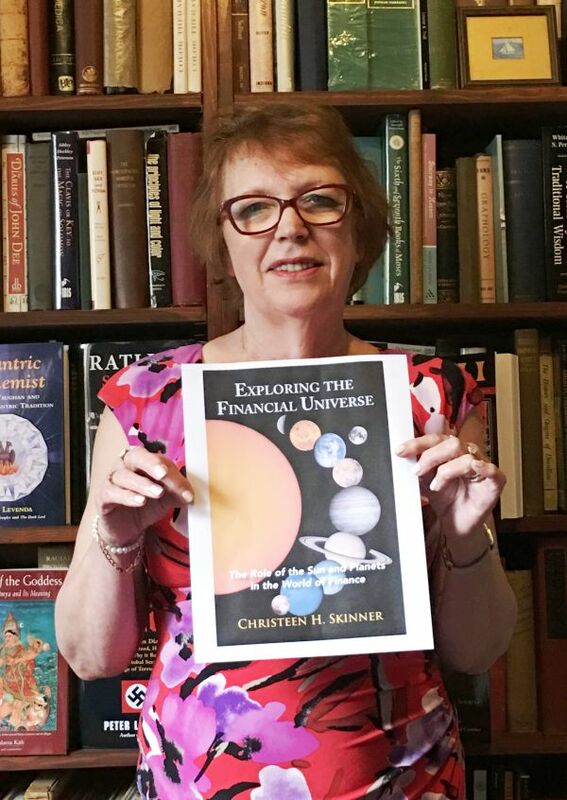 In 2004 ‘The Financial Universe’ was published followed by ‘Exploring the Financial Universe’ in 2016. Her latest book ‘The Beginners Guide to the Financial Universe’ was published in March 2017.